This post was written by Rohit Agarwal from India. South India is the area enclosing India’s states of Karnataka, Tamil Nadu, Andhra Pradesh, Kerala as well as union territories of Lakshadweep and Puducherry. Lying in the Deccan plateau, South India is bounded by the Arabian Sea in the west, the Indian Ocean in the South and the Bay of Bengal in the east which makes this part of the country one of the most beautiful peninsular regions of the world. South India is a vibrant region with its famous beaches and some of the most magnificent architectural buildings. The place has gone through tremendous changes and is developing rapidly. Endowed with the rich cultural heritage South India has a distinct cuisine of its own. 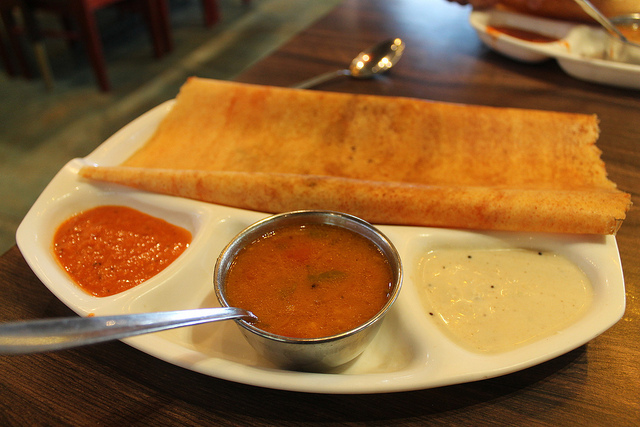 Dosa and Chutney is just a brief trailer to a long, colorful, rich and mesmerizing journey that is “South India”. With a wide variety of South Indian delicacies this place is a treat for all the foodies. Here are some amazing South Indian dishes for you to savor. 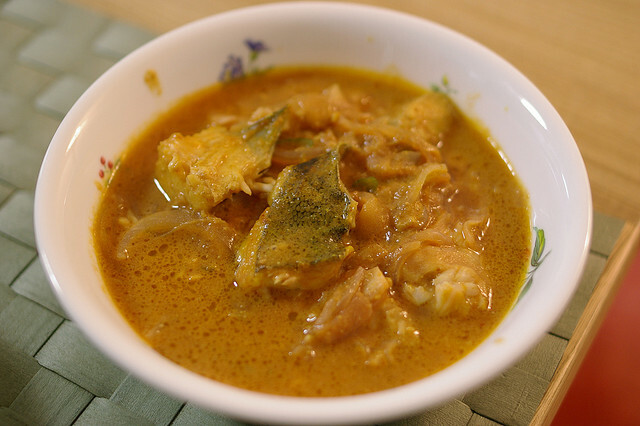 This exotic fish curry is from Kerala which is also known as ‘God’s own country’. This delicacy is very popular in the Trivandrum part of South India. It is a spicy curry which has the unique and tempting flavor of Murringakka (drumsticks). With Murringakka being extremely healthy along with ingredients like ginger, turmeric, coriander, tamarind and mustard seeds which are then simmered in coconut with spices, Meen Murringakka is a very healthy cuisine. This South Indian delicacy is served usually as a breakfast and is a steamed cylinder of ground rice layered with coconut and is extremely popular in the Southern part of India. Puttu means ‘portioned’ in Tamil as the dish is appreciated more in the Tamil speaking regions of South India. 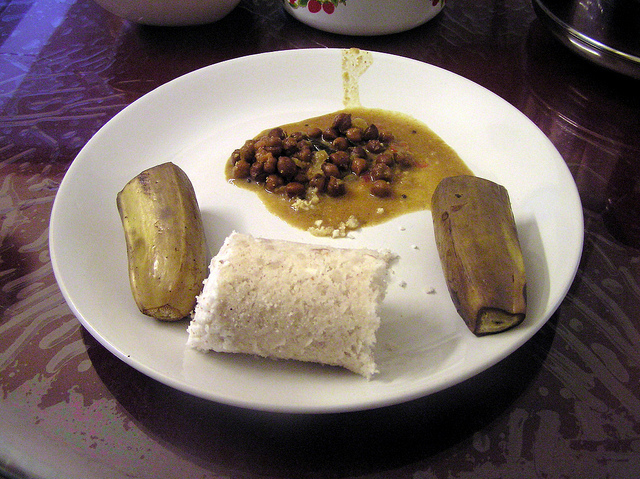 Apart from chopped ground rice and coconut, Puttu is often spiced with cumin. The dish is made by gradually adding water to ground rice and then it is spiced and steamed with layers of grated coconut. Puttu being the most known and healthy breakfast dish in South India is a must try. It is an utterly addictive, pleasing and a classic among South Indian dishes. This delightful dosa has a crisp exterior. The spongy interior is liberally tarnished with ghee or butter over which a layer of red chutney is stratified. With potato masala filling and accompaniments like sambar and coconut chutney, this rich and filling delicacy is enough to get you through the day. This saccharine delicacy is one of the most famous desserts in South India. The dish is also popular as a festival dessert as it is made mostly during the festivals in South India, especially Sankaranthi, which is a harvest festival and marks the changes in the growing season. This dessert is made from freshly harvested rice and hence is of great importance during this festival. The dessert is topped with oodles of ghee (clarified butter) as it is the ghee that distinguishes the flavor and aroma. With its unique characteristics and a strong cultural background this dessert is worth a try. This famous South Indian appetizing snack, also known as Semolina toast, has a distinctive taste and flavor of its own. The dish is made with bread added to flour combined with semolina topped with spices and seasonings. The crunch from the bread crumbs and the tender flour combined together makes it crispy from the outside like the dosa while the inner part is soft like idlis. So if you ever need a snack while exploring the beautiful South, grab one of these. Mangalorean chicken curry is the specialty dish of Bunt Community. It is fondly called ‘korri ghassi’ and is known for its intricate blend of spices. With coconut being an integral part of Mangalorean cuisine, it is also famous with Mangalorean chicken curry along with spices like fiery red chilies, black pepper corns, coriander seeds cloves and so on. The sweetness of coconut offsets the heat of the red chilies to some extent but the delicacy is still considered spicy. With absolutely heartwarming ingredients Mangalorean chicken curry is sure to please your palate and is recommended for people who like their chicken spicy. It is a milk based dessert/drink where ground almonds are prepared in milk and sugar with spices like cardamom and saffron. The spices are minimized so as to highlight the creamy texture and flavor of almonds. With all these nutritious ingredients, Almond Payasam is the perfect dessert/ drink after the dinner or a spicy meal and is a pure enticement for the sweet-toothed. With over hundreds of mouth-watering and nourishing dishes distributed all over South India with their own ethnicity and rich cultural background, it is difficult to pick just a few. From meals to snacks and desserts, these are several dishes that will help you with your expedition to the cuisines of the great South. This entry was posted in Asia / Far East, Food / Restaurants, Travel and tagged almond payasam, chicken curry, chutney, dosa, fish curry, india, Indian Food, meen murringakka, puttu, South India, south indian food on April 1, 2016 by Alana. Everyone likes food but South Indian Foods are Amazing.